Fence By Maintenance Service offers only quality pressure-treated or red cedar wood fencing products. Our qualified installers will custom build every wood fence on site to ensure the best looking and highest quality fence possible. We also build custom panels in the shop for do-it-yourselfers made out of the same high-quality materials. The big chain stores use thinner wood and lesser grade materials for their preassembled panels guaranteed. We do not build panels ahead of time. Our panels are tailor-made to the customer’s needs. We pride ourselves in using wood fence material that is as fresh as possible. 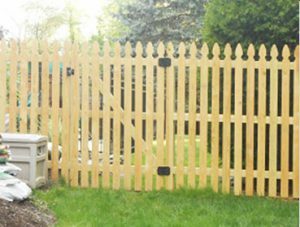 We can build any picket fence from 3′ to 6′ high with 1″, 2″ or 3″ spacing between the pickets. 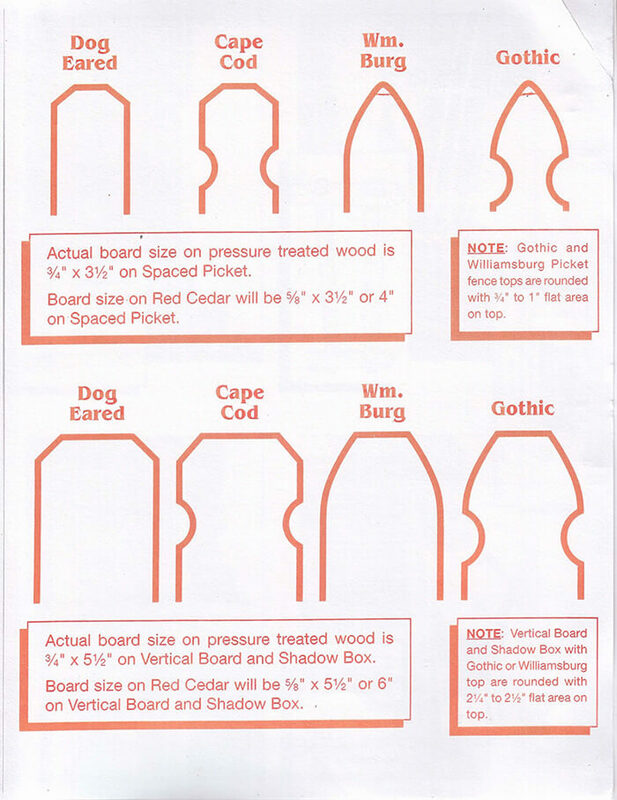 We offer a variety of top styles; Dog-eared, Gothic, Cape Cod or Williamsburg. Other wood fences we can install are vertical board, which is considered a solid fence, and shadowbox, which is also known as board-on -board. These are available in any of the tops we offer. We can also put any style of top on a 4×4 post. We custom cut, top, and sort all of our own wood in our shop to provide high-quality premium wood. We also offer 2 or 3 rail split rail fence. By special order 4 rail is available. Split rail fence comes in pressure treated wood or red cedar. A fence can be built over 6′ tall but must be special ordered. We only use quality material. We do not sell chain store low-quality fences.